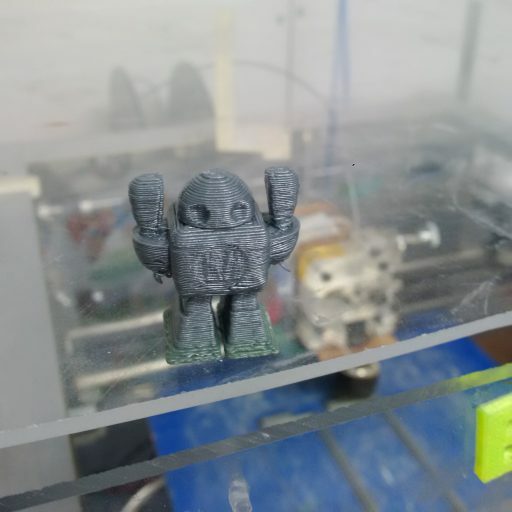 The 3D Printers at Techworks are working great! The Makerbot Replicator 2 is relatively low maintenance and does a great job. 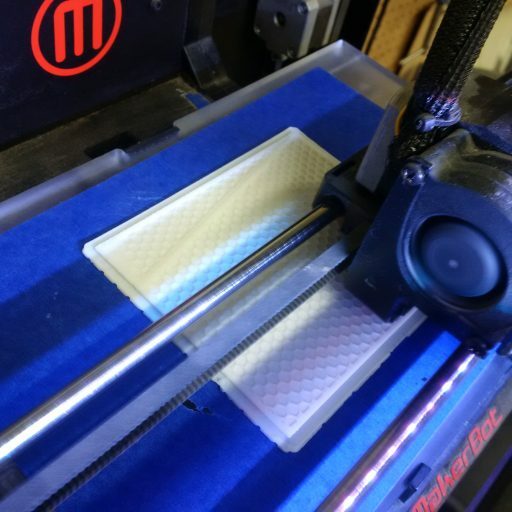 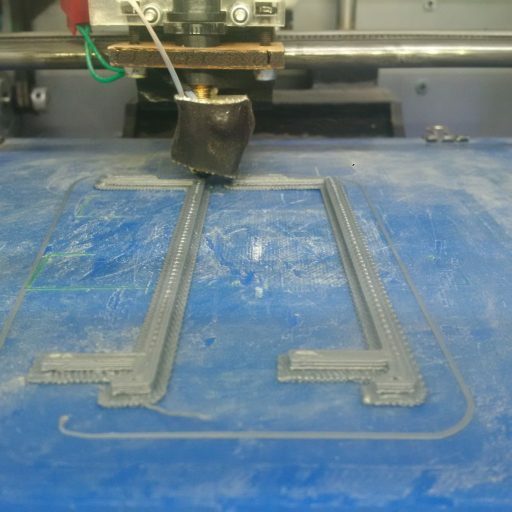 Printing some replacement parts for the enclosure.